Lipomas in dogs are growths composed of adipose tissue, also known as body fat. For this reason, lipomas are often called "fatty growths," "fatty skin tumors," or simply "fatty tumors." These generally painless growths are basically deposits of stored fat that for some reason aren't broken down properly and metabolized by the body. The fat is kept solidly in place because it's contained within a thin capsule. 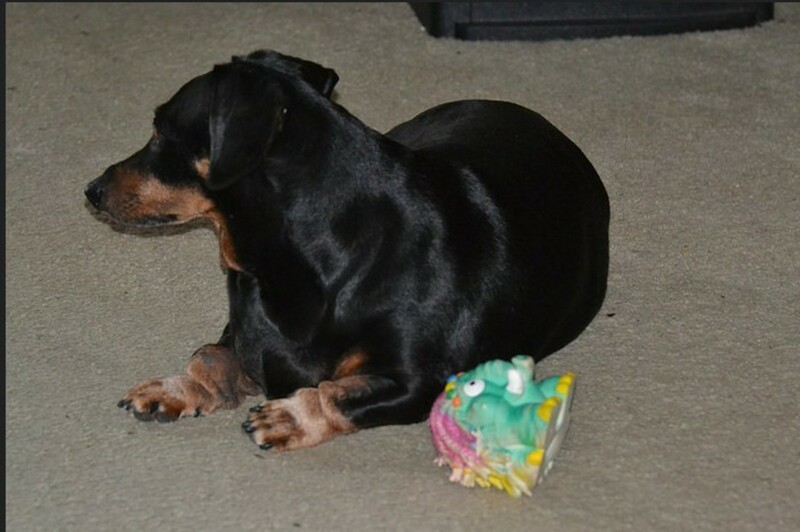 Lipomas are commonly found in middle-aged dogs that are overweight. Certain breeds are predisposed to them. Examples are Labrador Retrievers, Doberman Pinschers, Miniature Schnauzers, Cocker Spaniels, Dachshunds, Poodles, and Terriers. If your dog was diagnosed with a lipoma, rest assured you're not alone — actually, you are in great company. The issue of lipomas is quite widespread; indeed, according to the Whole Dog Journal, 1.7 million of dogs in the United States alone are treated for lipomas each year! This brings quite a lucrative business, with vets surgically removing 25 of them a year for a price totaling $635 millions! These growths tend to share some basic characteristics. Because of these characteristics, some dog owners may feel tempted to diagnose their dog on their own at home, but in the next paragraphs we will see why this is a risky practice. Following are main traits you will generally notice when you're dealing with a lipoma. Because lipomas are accumulations of fat under the skin, they will feel like a soft, blob of fat. In some cases, they may feel more on the rubbery, solid side because of the presence of fibrous tissue or inflammation. Even when lipomas grow to great dimensions, their consistency tends to remain the same. When you palpate a lipoma, it'll likely feel roundish or oval in shape. The size generally varies from the size of a marble to the size of a marshmallow, but it's not unheard of for a lipoma to become as large as a golf ball, with some very large ones even reaching the dimensions of a baseball! In some cases, they may even develop long and wide. I'll never forget the day a vet I worked for called me in the surgery room just to show me a ginormous lipoma almost the size of a small watermelon! Because lipomas are fatty, they'll feel squishy under the skin as you palpate them. If you try to press one with your finger, it'll probably move about rather than staying put. This happens because they are typically not attached to the dog's skin or underlying muscle or tissue. A lipoma tends to grow slowly and you'll likely notice it as it grows. In most cases, you won't likely see it one day the size of a pea and the next few days the size of a lemon. However, according to CJ Puotinen and Mary Straus in some cases lipomas may develop rapidly. If you notice rapid growth, it's best to play it on the safe side and have it checked out by a vet sooner than later. As mentioned previously, lipomas generally do not cause pain, infection, or hair loss. However, we will see in the next paragraphs a case where a lipoma may actually cause discomfort and pain. These growths seem to have some preferences when it comes to location. They're commonly found near the upper legs, armpits, neck and along the chest and abdomen. Technically though, they can appear just about anywhere. 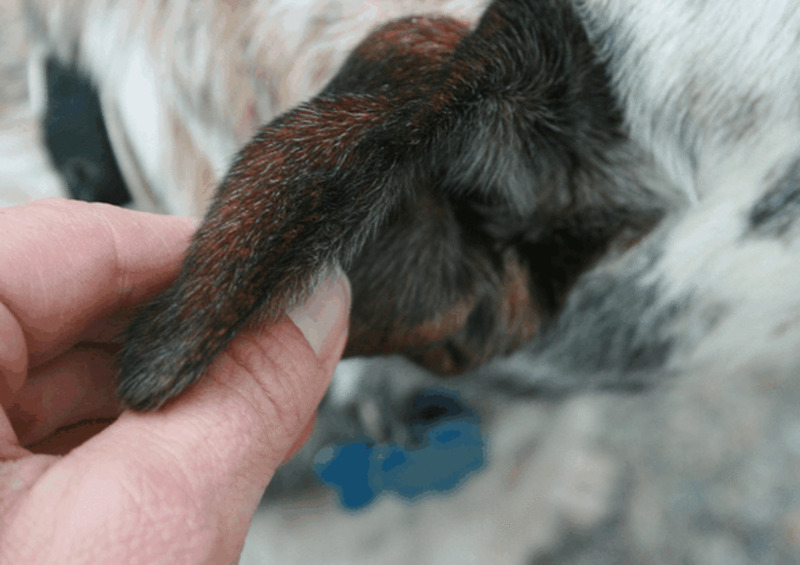 If you just found a possible lipoma in your dog, don't stop looking. Chances are good, you'll find another one, and possibly, another one; indeed, lipomas seem to enjoy company of each other. If you still haven't found another one, your treasure hunt isn't likely over; chances are, your vet may have better luck through a thorough inspection. Just because you have found a lump that shares these traits, doesn't mean it's necessarily a lipoma. For instance, just because a growth is soft doesn't means it's benign. While it's true that several malignant growths are firm and compact to the touch, there are cancers that may appear soft as well. And just because the lump you are looking at is easily movable, doesn't mean it's benign as well. While it's true that many malignant tumors attach to muscles and bones, some may still feel movable. So are dog lipomas cancerous? Read on to learn more. We often assume that when a vet suspects a lipoma, we're on the safe side, but truth is, there are other things that should be ruled out. This is why after declaring the presence of a suspected lipoma, vets recommend having a fine needle aspirate done to play it safe. Following are answers to the big question of "are dog lipomas cancerous?" Despite their unattractive appearance and sometimes large sizes, lipomas aren't life threatening. Yes, cosmetically they aren't great to look at, but they are benign, and unless they grow so big as to interfere with your dog's natural movements, your vet may simply tell you to just let them be. A vet's recommendation to follow a"wait and see" approach, where you keep an eye on the growth, is only normally given after your vet has ruled out a possible malignancy after doing a fine needle aspiration. Once the pathology report confirms its benign status, your vet may then tell you to just keep an eye on the growth and report any changes. In some cases, a lipoma may become more invasive. They may invade the connective tissue found between muscles, tendons, bones, nerves, or joint capsules, and, depending on their location, they may cause interference with normal functionality. In some cases, they may be painful, and they can can even cause muscle atrophy, and interfere with movement causing lameness. Such lipomas are known as "infiltrative lipomas" and they can be found on the dog's legs, thorax and abdomen, head and perianal regions. They are often seen in Labrador Retrievers and Doberman Pinschers. While these tumors don't metastasize (spread to other body parts as malignant cancers do) they can be locally invasive. When these tumors aren't properly removed, they are quick to grow back in about 50 percent of cases, according to Veterinary Partner. 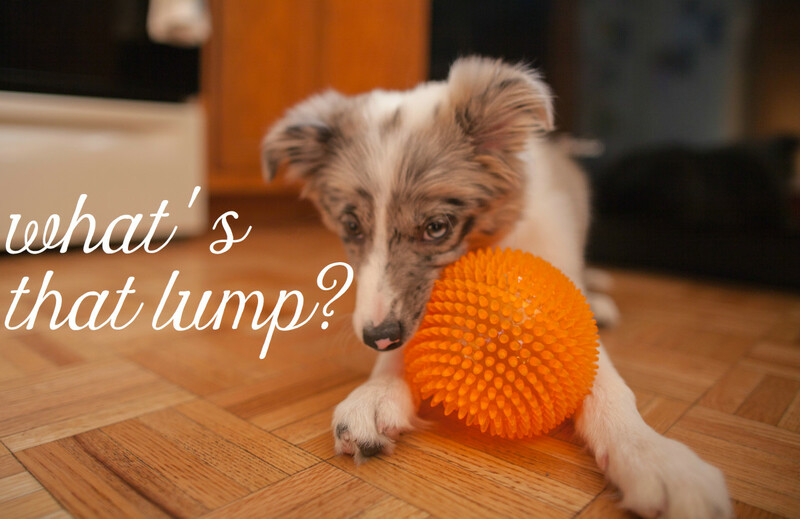 Don't just rely on how your dog's lump looks and feels to assume it's just another fatty tumor! Truth is, there are sometimes growths that look like lipomas, but are actually cancerous! An example is mast-cell cancer, a malignancy known by veterinarians as "the great imitator." Why? Because these cancers may "look like anything they want, even lipomas" according to Michelle Gray, a veterinarian working at Woodland Animal Hospital in Carmel, IN. Other malignant growths known to resemble lipomas include sebaceous adenomas, hemangiosarcomas, and hemangiopericytomas. Consider reading this story where a vet diagnosed a dog's lump as a lipoma simply by touch and sight alone, until Dr. Dressler steps in and finds out it's actually a large hemangiosarcoma! At times, what looks like a lipoma may also turn out being a liposarcoma—a cancer that forms from fat cells. This growth, even though quite rare, pretty much behaves in a similar fashion as soft-tissue sarcomas. In cases of low- or intermediate-grade liposarcomas, the risk for spreading is less than 20% according to Veterinary Partner; however, in the case of higher-grade liposarcomas, the risks for metastasis increase significantly. 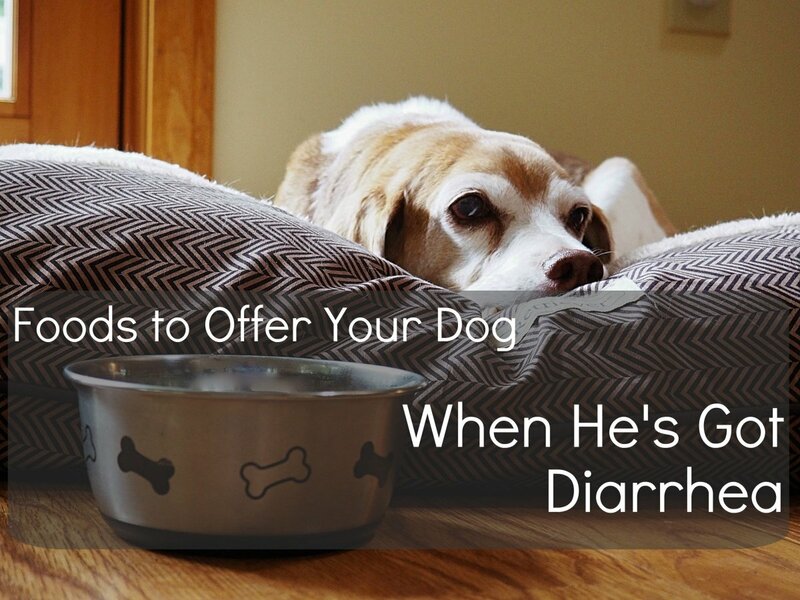 Why Do Dogs Get Lipomas in the First Place? Holistic vets believe that lipomas are a sign of a potential imbalance. The body has a hard time eliminating toxins through the kidneys, liver or intestines so it discharges toxins towards the skin. Veterinarian Stephen Blake compares the dynamics to sweeping a lump of dirt under the rug "when you don’t know what else to do with it." According to Chinese medicine, a lipoma is caused by a stagnation of bodily fluids. In human medicine, the subject of causes of lipoma are also prone to controversy. Some doctors believe there may be a genetic component, while others believe they erupt when minor injuries takes place; indeed, they are often called "post-traumatic lipomas. "However, this link remains controversial. The bottom line? We may really never know exactly what triggers these unsightly growths. 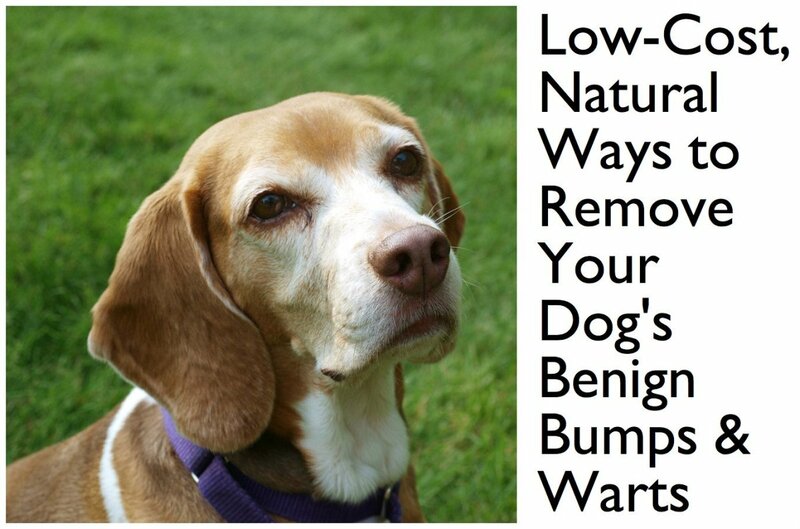 All we know is that we must keep an eye on any lumps and bumps and should have them checked out by a vet to play it safe. Disclaimer: this article is fruit of my research and as such shouldn't be used as a substitute for professional veterinary advice. If your dog has a lump, please see your vet for proper diagnosis and treatment. Our Labrador has had a fatty lump on his leg for three years, and all of a sudden it has grown drastically in size and turned a dark red colour. Could it have turned cancerous? Any changes in size and appearance warrant investigation. A fine needle aspirate is not exceedingly expensive and can give quick results. 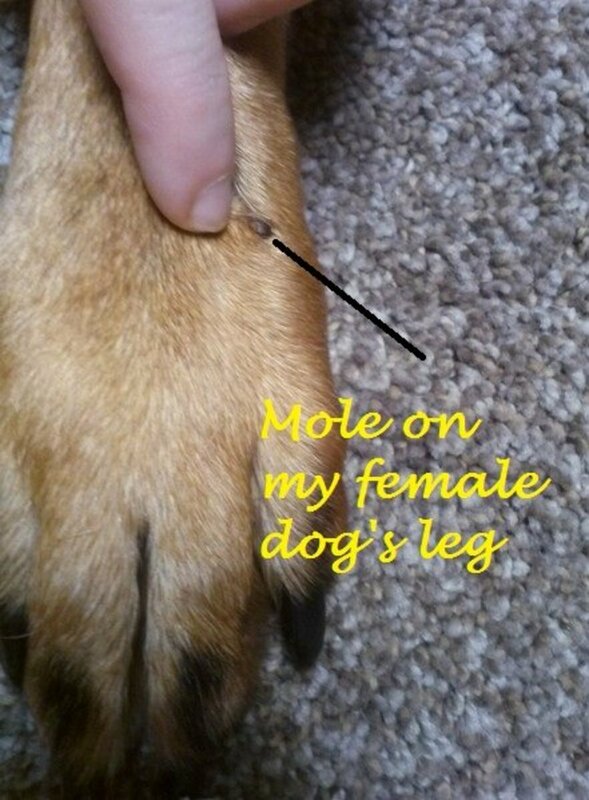 What Is That Black Mole on My Dog's Leg? I am happy you found it useful. Best wishes for a speedy recovery! The doggy 'map' that I printed off here, was a tremendous help in identifying the spots. Some were easy, but the other two would sometimes"hide'. I marked them on the map and then used texter to mark them on Goldie for the vets. She looks fine but is not eating, which is not a problem as she has always eaten well, so she can survive a couple of days without quite well. She looks bright but not looking for play. My vet would not have bothered with the cysts except that I was getting panicky, just in case. . .! Sounds like good news! My girl's 3 lumps turned out to be two lipomas and a cyst. 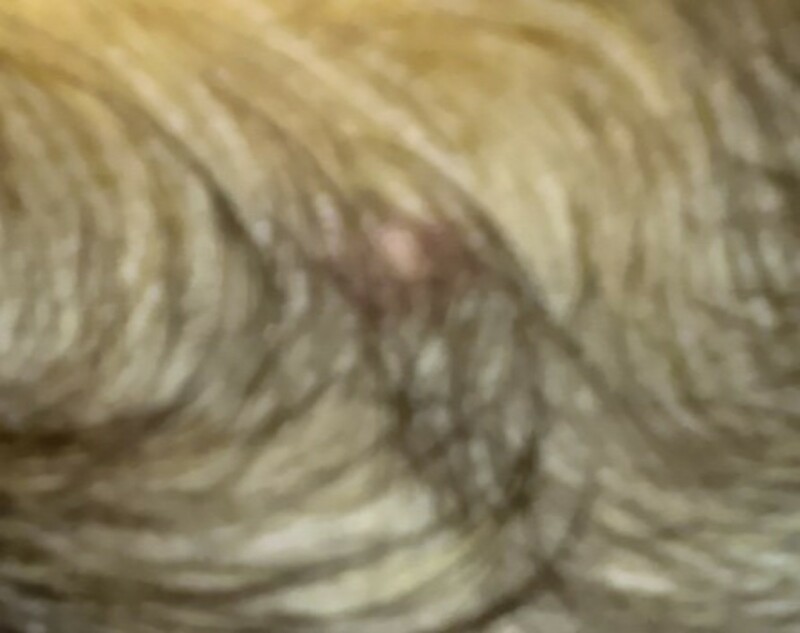 Vet told me to keep an eye on the sebaceous/follicular cyst for signs of infection and an eye on the lipomas if they grow bigger. Funny thing is that the lipomas I have a hard time finding them and feeling them as they're under the skin, and the previous vet even missed them altogether, go figure! I guess if they grow bigger they should become more noticeable, hopefully I'll be able to take notice. Hi Alexadry, Goldie has had all four lumps removed. At present she looks a bit battle-scarred, but she is doing well. The Vet said two were Lipomas [fatty tissue] and the other two were Sebacious glands, and he assures me there is no need to send them to the lab. He is an old experienced country vet, so I feel comfortable with his diagnosis. She also has what looks like skin that is slightly pendulous skin right on her chest, between the forelegs. His view is to "keep an eye on it". Would you be happy with that kind of diagnosis? Sorry to hear about your dog ladyguitarpicker. Sounds like the lipoma was in an area that was difficult to remove and there were concerns over operating due to age. I am sure he had a wonderful life, 15 is quite a achievement! Hi Adrienne, thank you so much for this interesting article. For us dog-owners such information is invaluable, and you have distilled the information of a lifetime into this article. Thank you.